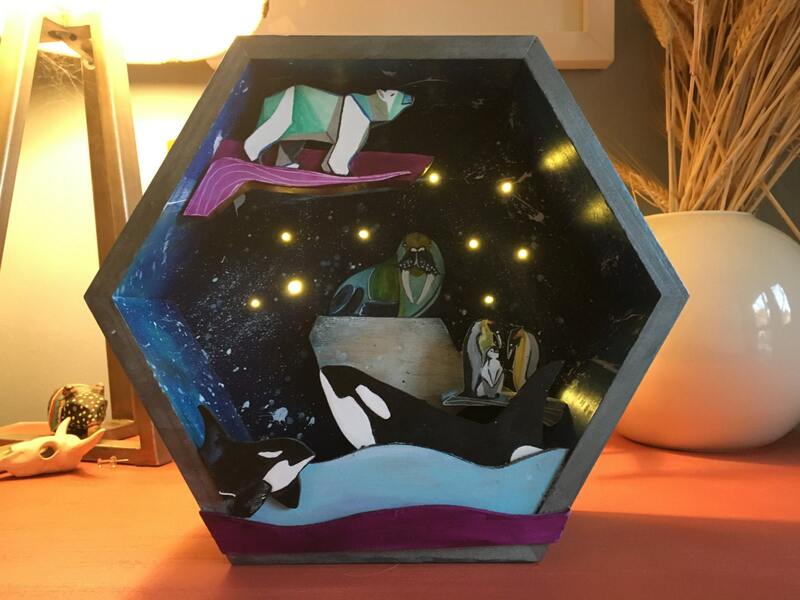 Starry Night - Nautical Animals, handmade 3D Wood Art that lights up! Handcut and hand painted 3d sea creatures adorn this ready to hang, hexagonal frame. Light up your heart with these adorable home accents!